This program provides the knowledge and experience required to independently plan and conduct limited decompression dives to a maximum depth of 40 meters, using nitrox mixtures up to 50%. This entry-level program introduces you to the Extended Range training techniques and skills, and can be completed wearing a standard single-cylinder equipment configuration. 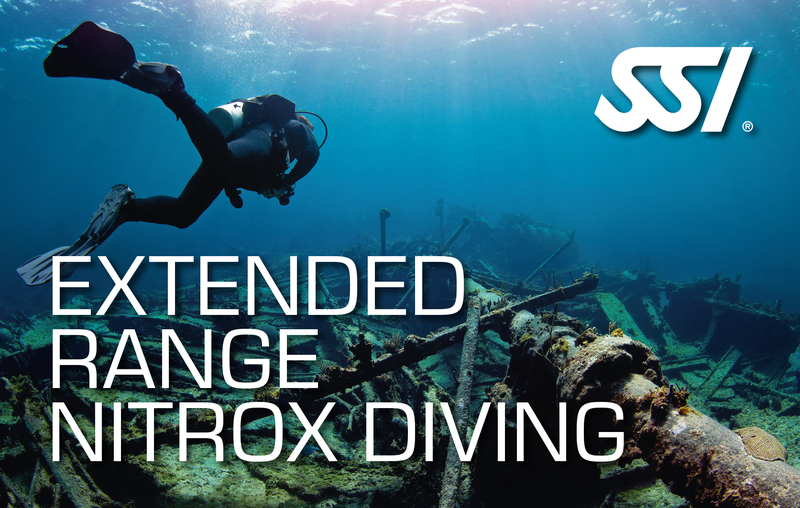 You will earn the SSI Extended Range Nitrox Diving certification after completing this program.